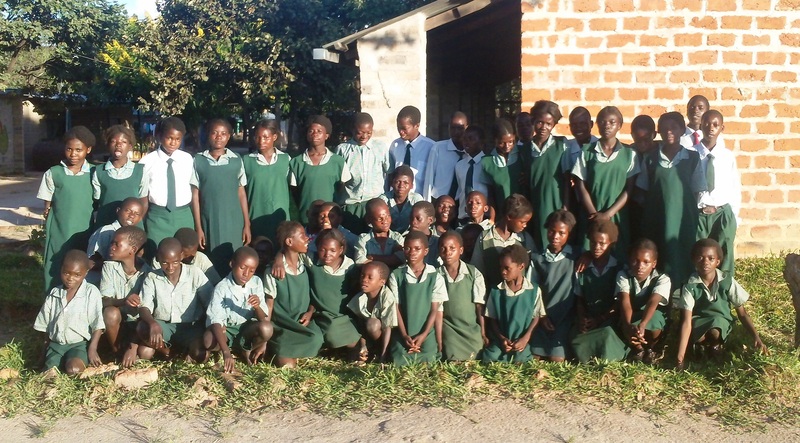 The “Chibobo Orphans Project” began in May 2003 as a joint scheme between a group of overseas donors (friends and family) represented by an Australian Volunteers International person, Mr Kevin Gilbert (a former Deputy Principal of Overnewton College), and HMP (Help Ministries Project), a local Zambian registered and approved non-government organisation based in the Chibobo area in the Central Province of Zambia. 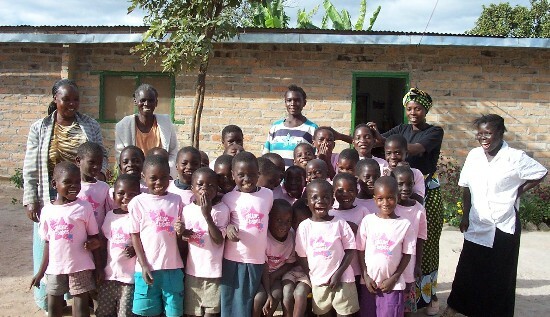 The project started off with 32 orphans in 2003, but the long-term goal of the scheme is to improve the lives of the approximately 100 orphans identified within a 6km radius of the HMP Chibobo Centre, through the provision of facilities and procedures involving the vital care of these orphans (eg feeding, clothing, educating). HMP is well known in the area and has the key understanding and knowledge of the local setting, its people and its particular needs. Chibobo is a rural area with no electricity or water supply. A pump provides the only water and this has to be carried into the simple dwellings .HMP has requested plastic water tanks to utilise the water that runs off the new dormitory. Simple windmills would relieve the community of the onerous task of manning the water pump for several hours per day. The Overnewton community donated a petroldriven power pump which is operated for irregular short periods and there is a solar power project being undertaken which will enable the community to have cheap power on a regular basis. The community is remote and needs a reliable form of transport when it is necessary to travel to Serenje, 30kms away. The current vehicle needs costly repairs. Money is also needed to fund the cost of the additional orphans. The Chibobo community relies heavily on the donations of money and goods from the Overnewton community and supporters, to help improve the standard of living in the area. Buildings made from locally made bricks have been erected by the local community to house the orphans, the community pre-school and to house volunteers. At the moment several new projects are taking place. The new medical clinic is almost complete and there are plans to build a house for the doctor who will run the clinic. It is estimated that, when operational, the clinic will see over a 100 patients a day. 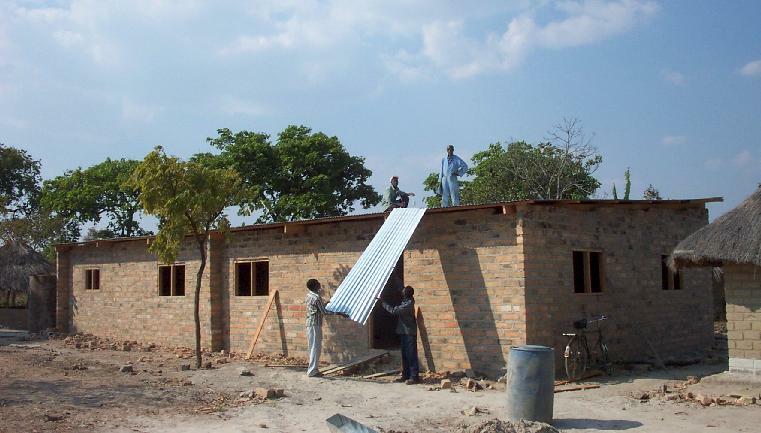 A new dormitory has been built to house the orphans and will be in use when some minor work is completed and the plumbing of the bathrooms is finished. This will enable HMP to take in a further 60 orphans, bringing the total to around 100 children. Chibobo is a small community in northern Zambia. The nearest town is Serenje, 23 kilometres away. Chibobo Orphanage is run by Help Ministries Projects. Staivous is the local head of the orphanage. St Mary’s is a church in Sunbury, Australia. They ran a mission trip to Chibobo orphanage in June 2008. Koala Club was formed when the mission team taught local people to sew, to knit and other crafts. Mechanics for Chibobo/ Serenje was formed when the St Mary’s mission team identified a problem with the lack of maintenance of vehicles and equipment. It aims to train local people and provide locally Orphanage owned facilities for self sustaining professional maintenance of vehicles in the Serenje area. John Chilangwa, a young man from Chibobo, commenced a 2 year mechanic training course in January this year, sponsored by Mechanics for Chibobo/ Serenje. Joshua Chibuye is a Chibobo teenager who was brought to Australia in 2008 for corrective surgery on his club feet, organised by Moira Kelly’s Children First Foundation.